For many people, a meal isn't complete without perfect dinner rolls. But where can you find gluten-free dinner rolls to suit your gluten-free diet? Lots of places, it turns out. A wide variety of gluten-free food companies now make dinner rolls (not just gluten-free hamburger buns disguised as dinner rolls) for people with celiac disease and non-celiac gluten sensitivity, and you (not to mention your guests) will be hard-pressed to tell the difference between those rolls and gluten-filled varieties. You have the option of reheating ready-to-serve dinner rolls, or of making your own (either from a mix or from scratch). Ener-G. Well-known gluten-free brand Ener-G makes non-GMO gluten-free tapioca-based dinner rolls that come in shelf-stable (not frozen) packages of six. 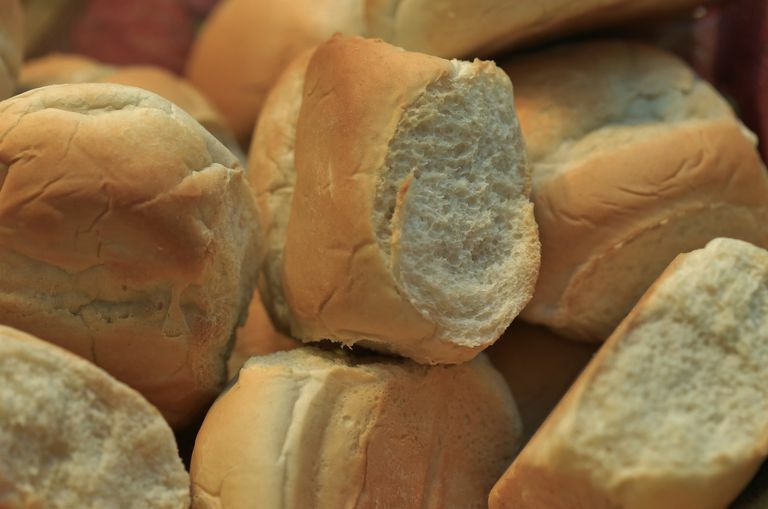 The rolls are enriched with vitamins (including vitamins B1, B2, niacin, folic acid, vitamin D and iron), and include yeast as an ingredient. Ener-G makes its products in a facility that's dairy-free, peanut-free and tree-nut free as well as gluten-free. Its products are Kosher-certified, and Ener-G tests its products to ensure they contain fewer than 5 parts per million of gluten, currently the lowest possible commercial testing limit. New Grains Bakery. New Grains makes its vegan-friendly dinner rolls with a base of sweet white rice and sweet brown rice flours, plus flax seeds and tapioca flour. Note that the rolls contain oats and yeast. (Some people who react to gluten grains also react to oats, so if you're one of them, steer clear of this brand.) The company mills its gluten-free grains onsite to reduce the chances of gluten cross-contamination. Rudi's Gluten-Free. Rudi's Gluten-Free makes frozen heat-and-serve non-GMO gluten-free ciabatta rolls. They are certified gluten-free by the Gluten-Free Certification Organization, which requires testing down to less than 10 parts per million. The ciabatta come in packages of eight. They're based on potato, tapioca and rice ingredients, and contain eggs and yeast. Schar. Schar makes par-baked ciabatta and baguettes, both of which you can use as dinner rolls. Both contain yeast and corn starch, and the ciabatta also contain soy protein. All the products are milk- and egg-free. Schar tests its raw ingredients for gluten cross-contamination down to below 20 parts per million, and manufactures its products in a dedicated gluten-free facility. Udi's Gluten-Free. You have two Udi's dinner roll products to choose from: Classic French dinner rolls and Whole Grain Seeded dinner rolls. Both include yeast and egg whites. Udi's also makes French baguettes. The company is certified by the Gluten-Free Certification Organization, which requires testing to below 10 parts per million of gluten. If you like the idea of home-baked dinner rolls but don't want to start from scratch, you may want to consider a mix. You can re-purpose a gluten-free bread mix for this, and it likely will work well. Just be certain when making dinner rolls with a gluten-free bread mix to adjust the baking time appropriately, since the rolls will cook much more quickly than a loaf of bread would cook. Pamela's Gluten-Free. These are made with Pamela's gluten-free bread mix, which contains a variety of gluten-free grains (tapioca, sweet rice, brown rice, white rice and millet). You'll also need yeast and eggs. Pamela's reports that the company's products consistently test at 5 parts per million or less of gluten. Chebe. Chebe makes two mixes you could use to produce dinner rolls: its Original Cheese Bread Mix and its All-Purpose Bread Mix. Both are tapioca-based and are free of grains, soy, potato, yeast and MSG. Chebe is certified gluten-free by the Celiac Sprue Association (CSA), which requires products to test below 5 parts per million of gluten. Gluten-free dinner rolls used to be dry, crumbly things that wouldn't stand up to butter (and weren't really very enjoyable to eat). But the options above easily can pass for gluten-y rolls. In fact, it can be so difficult to tell the difference between gluten-free and gluten-containing dinner rolls that you might want to double-check with your server if you're offered rolls in a restaurant, just to make sure they're really gluten-free.